This summer favorite is available for a limited time only! 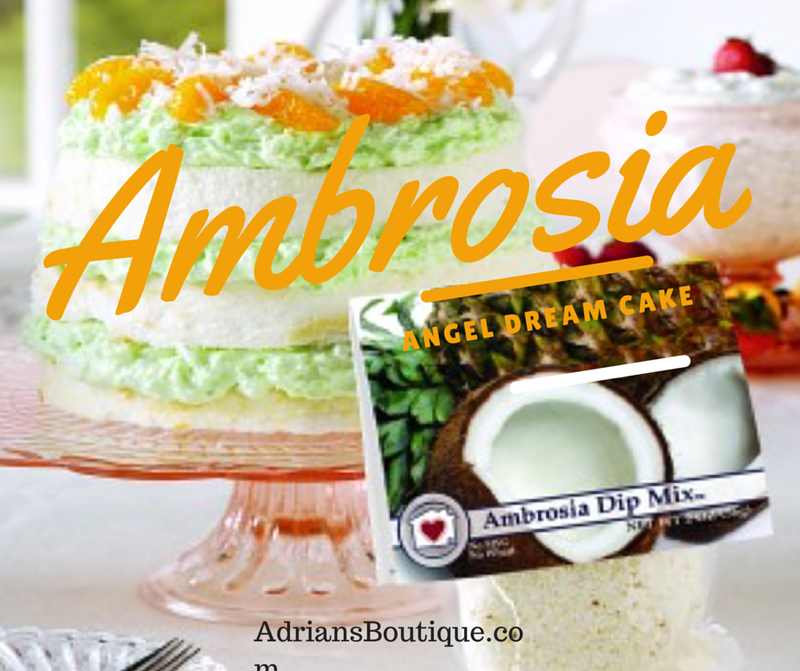 Combine Ambrosia Dip Mix, crushed pineapple (including juice), and ry instant pudding mix in a medium-sized bowl. Stir to mix well. Gently fold in whipped topping. Let mixture stand and chill in refrigerator for no more than 5 minutes. Slice cake horizontally into 3 even layers. Place bottom cake layer, cut side up, on a serving plate. Spread 1 1/3 cups of the Ambrosia pudding mixture on top. Place the middle cake layer and spread 1 1/3 cups of the pudding mixture on top. Place remaining cake layer and spread remaining pudding mixture on top. Chill at least 1 hour before serving. Garnish with seasonal berries, chunk pineapple, or your favorite fruit. *You may substitute lemon, coconut, or pistachio instant pudding.